Belle and Sebastian is one of those bands that some people are surprised that I’m into. Well, I’m eclectic, suckas! I’m all over the map! You can’t pin me down. I first got into B&S in 98 after they rereleased “Tigermilk.” I had a friend who was listening to them nonstop, so on a trip to southern Oregon I asked her to bring along that “Sebastian Bell” band. I was instantly hooked to that record, and started to pick up their EPs and albums. For a while I even was looking to buy one of the original vinyl “Tigermilk” LPs, as they were popping up on ebay and not going for too much. I can only imagine how much they go for now. B&S is a band that I always bring on roadtrips. Each album reminds me of a different place I’ve lived or visited. I get a distinct memory everytime I put on a certain song from a certain album. They really are one of my favorite bands of all time. So a definitive song should be tough to pin down! As all good bands do, they have evolved and changed their sound (as well as their line-up) on each album. I thought I had this one pegged without thinking too much on it, but after listening through their albums again I wasn’t so sure. This is a little long, so the list is after the jump. I think a lot of B&S fans didn’t like this album because they thought they changed their sound too much. I disagree. I think this is an excellent album and very much a return to form after the democratic-to-a-fault “Fold Your Hands Child…” album. If She Wants Me is a super mellow but up-tempo song that just sort of makes you think about hanging out with friends and messing around town. This song and the super-saccharine “Asleep on a Sunbeam” are standouts on the album, but I think this song captures that B&S feel that some fans think they have lost. (They are wrong) This song reminds me of driving in the rain in Eugene. I think to many people this is the quintessential Belle and Sebastian song. It is the opener on “Tigermilk” and it your first introduction to Stuart Murdoch’s brutally honest and charming lyrics. The sparse opening bars, with a barely audible strumming guitar and Murdoch singing “My brother had confessed he was gay, it took the heat off me for a while” eventually builds to a pretty lush low-key song with organs, guitars, and slight percussion. The harmony is spot on, and by the time we get to the chorus, you know you have found one of the most perfect songs. This song reminds me of sitting outside my first apartment in Portland (Goose Nest? Goose Hollow? I’ve forgotten) in 1998. The openig piano on this track is so instantly recognizable to any B&S fan. This painfully fun song picks up the pace as track 2 on “If You’re Feeling Sinister,” right after the slow burn that is “Stars of Track and Field.” This song is a great synopsis of that weird time in your life where you aren’t sure where you are supposed to be and you aren’t sure who you like or who likes you, etc. I’m talking about 13-15 here, kids. This is a brisk, bittersweet song that can mean a lot or nothing, compared to when you are listening to it in your life. I was listening to this song after a brutal breakup way back in the day, so I kind of look back on it fondly. I was jealous of the singer and his ability to dismiss the jealously of his ex-girlfriend dating someone else by singing “seeing other people, at least that’s what we say we are doing.” This song reminds me of laying in my hot studio apartment and listening to this song on a boombox that was propped up by VHS tapes. I think this might be a definitive live B&S song. The duet between Stuart Murdoch and Monica Queen is a fun song, no doubt. But nothing beats listening to a bootleg recording of this song and hear the crowd just go nuts when Monica comes in with ” Let’s see your kit for games, All the girls look the same.” The song contains the requisite B&S hand-clapping and organ, and the song still gives me goosebumps as I’m listening to it right now. I bought this EP on a regular ’33’ and used to listen to it all the time at Ground Kontrol on that wonky record player we had. It reminds me of putting the needle down and hearing arcade game sounds in the background as the track cued up. In a town so small, there’s no escaping you” says a girl’s voice in the middle of Dirty Dream Number Two. This song is great by itself, as well as a the song right after the low-key pre-Looper A Space Boy Dream. It comes in strong with strings and piano, a steady beat slowly building up more and more as the song goes on. This song really is a large lead up to a fantastic crescendo of strings, horns and guitar. The song is apparently about those dreams we all have about that person we are in love with, but we don’t even know their face. Could you put a name to someone else’s sigh? Could you put a face to someone else’s eyes? Is it someone that you’d maybe recognise? After this, there is a minute of feverish strings and percussion, and then it ends in a giant sigh. This song reminds me of driving around San Francisco and learning how to edit on a PC I put together in 1999. This is also my definitive Belle and Sebastian song. When I first thought about doing this list, I thought for sure it would be The State I Am In, but then I realized that is just sort of the quintessential song for every fan, but not a song that defines B&S for me. Dirty Dream Number Two is the first song I would play to introduce the band to someone because it is a song that makes you feel good about something, though it is probably different for everyone. It is also one of my favorite music videos. Belle and Sebastian songs just create a lot of imagery for me. Things their songs make me think of: church, camping, cafes, hopscotch, super 8, grass, pinball, chinese food, late nights, and picnics. This was a tough list, even more than Morrissey! There were a TON of songs I wanted to add to this list and write about, but I would be here all day and you would lose interest (have you already)? 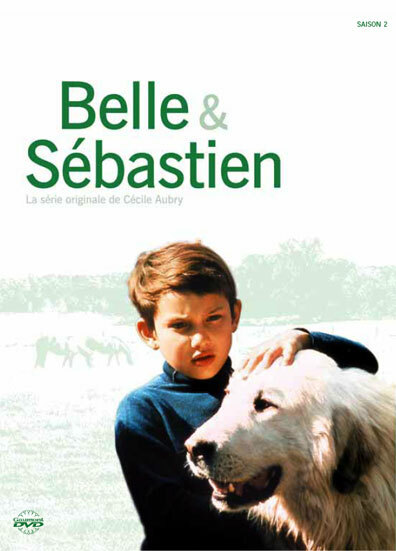 Anyway – if you listen to B&S, even a little bit, what is your favorite/definitive Belle and Sebastian song? Entry filed under: Definitive Songs, Music. Roman Holiday at the Hollywood Cemetery	poles will reverse! Mmm…I love anything off of Boy with the Arab Strap. I had “The Boy with the Arab Strap” as a song on the list, but I eventually cut it off to put Dirty Dream Number Two. I think The Boy with the Arab strap is my 2nd favorite album – it is amazing and has that weird flow that their later albums do. Plus it has Isobel Campbell on it still. The man who drives minicabs down in old Compton. I have to agree- “It Could Have Been a Brilliant Career” is by far my favorite B&S song. It reminds me of when I took the AmTrak down from Eugene to Simi Valley. I listened to this album over and over on the train, but this song in particular stands out. In the song, just after the beginning part, when the drums come in and it picks up a bit, reminds me of wheels turning on a train; going faster along the tracks and the scenery passing by out the window. I love this whole album so much. It is unanimous! The Boy with the Arab Strap is the definitive Belle and Sebastian album! I’d have to say If You’re Feeling Sinister is my favorite album. Nothing in my life will ever compare to the first time I heard “Get Me Away From Here, I’m Dying” followed by “Judy and the Dream of Horses” because when I first heard of Belle & Sebastian I was going through this awkward middle school phase of my life where I felt like I didn’t fit in anywhere. When I listen to Belle & Sebastian it reminds me of the wonder and amazement I had towards life when I was child and I love them so much for being able to do that. And I’d have to say my favorite B&S song would be Fox in the Snow.